Welcome to the next addition of CAS-ual Fridays! This week our challenge is an AMAZING sketch by Laura! Brings back a little *2 Sketches 4 You* memories if you know what I mean!! LoVe!! This new set is not exactly my usual style but I just HAD to have it! How cute is she? You can't see it really well but the green "hill" is impressed with PTI's Sunshine IP! I am really hoping you can play along this week! 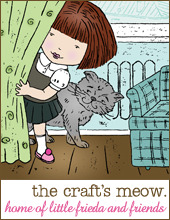 Our Sponser this week is The Crafts Meow! 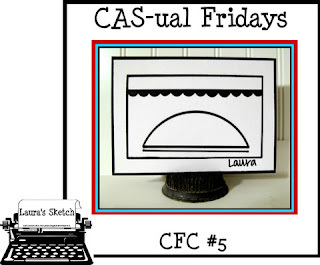 Hop on over to CAS-ual Fridays and check out the prize for this week! Oh goodness, this is tooo cute Laurie! LOVE that cow! CUTE!!!!! And I LOOOVE it! ha! This is the cutest thing! Love the cow and the sentiment. Just adorable! This is way awesome, laurie! Way to rock CAS and C-U-T-E! So adorable! I've missed stalking your blog. You've added some truly amazing creations. You have such a great attention to detail and still manage to keep things clean and simple. I'm in love withthis card!!! I just had to write....you are the most talented card maker....the clean and simple lines in your cards just make me say "Awe....". Thanks so much for sharing. Oh my goodness this is super CUTE! Too cute! I like that little bow around the cow's neck! That is precious! Love the cow! Cute, Cute, Cute! I am truly mooved! Adorable take on the sketch! 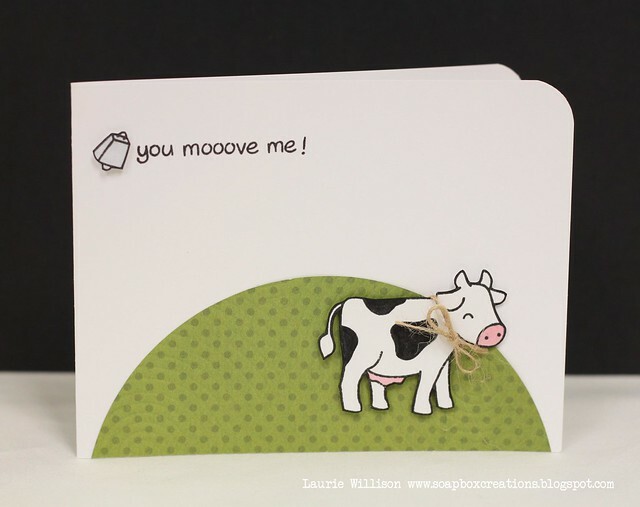 Love the twine bow on the cow.